Apple on Saturday posted a new iPhone 7 Plus ad to its YouTube channel, featuring the 7 Plus-exclusive Portrait mode in the device’s stock Camera app. 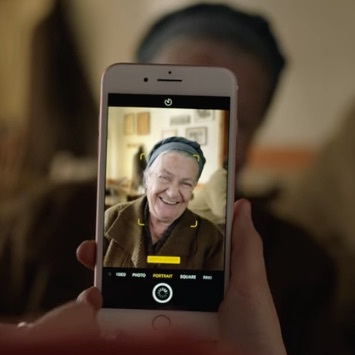 The ad, entitled “Take Mine,” shows a young lady visiting her grandmother, who lives in a small Greek village. 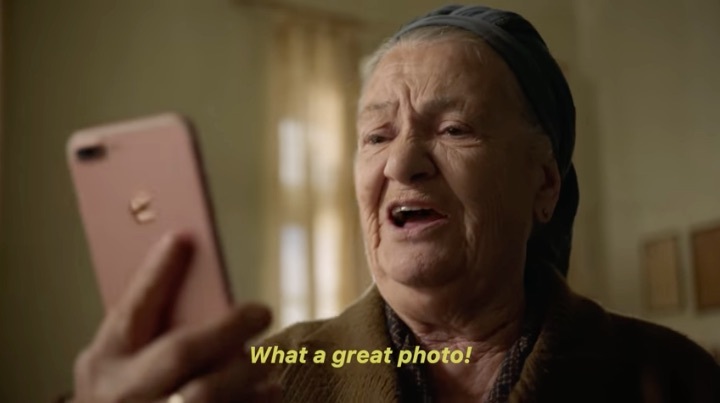 While visiting a café, the granddaughter takes a photo of the older woman, making use of the Camera app’s Depth Effect. Upon viewing the photo, the Matriarch stands up, exclaiming, “What a great photo!” The attention brought to the device leads to the young lady being led through the village, as what seems to be every villager in the area asks her to also take a photo while they pose. Every resulting photo features the now familiar sharp portrait of the main subject, framed by a blurred background. The iPhone 7 Plus offers a two-lens camera, which allows the use of an exclusive Depth Effect when shooting photos in Portrait mode.